The governor of the Nigerian state of Borno has admitted that the army has been guilty of excesses during operations to counter the uprising by Islamist group Boko Haram. Kashim Shettima told the BBC that rules of engagement would be issued to the military. He also said compensation would be paid to those whose homes and vehicles had been destroyed by soldiers. Rights groups accuse the Nigerian army of arbitrary and unlawful killings. Boko Haram, which was founded in 2002, led an uprising across a number of northern states in 2009, during which hundreds were killed. 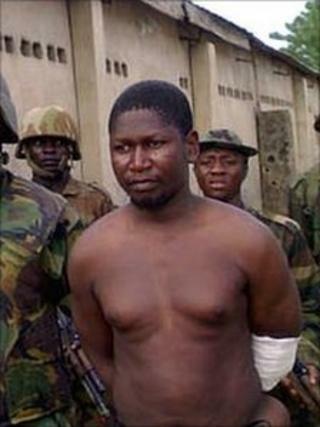 The group's leader, Mohammed Yusuf, was captured by the army, handed to the police and later found dead. The BBC's Jonah Fisher, in the Nigerian city of Lagos, says the strengthening of a military task force in Borno state has over the last month been accompanied by a marked increase in violence. Joint Task Force (JTF) patrols have been targeted by improvised bombs on a daily basis and last weekend soldiers responded by killing at least 11 people. Governor Shettima said: "The most important thing is for us to put in place mechanisms for ensuring that the excesses of the JTF, who are operating under a very tense environment, are curtailed. "We are going to provide hotlines and oblige the JTF with a code of conduct - rules of engagement - so that they do not break the rights of the people. But it's quite easy to agitate, to call for the removal of the JTF but what is Plan B?" Most of the Boko Haram's attacks take place in Maiduguri, from where thousands of people have been fleeing in recent days. The governor appealed for people to return. He also urged Boko Haram to lay down their arms and open up lines of communication, saying the government was ready to meet their reasonable demands. The group's official name is Jama'atu Ahlis Sunna Lidda'awati wal-Jihad, which in Arabic means "People Committed to the Propagation of the Prophet's Teachings and Jihad". But residents of Maiduguri, where it was formed in 2002, dubbed it Boko Haram. Loosely translated from the local Hausa language, this means Western education is forbidden. Residents gave the group the name because of its strong opposition to Western education, which it sees as corrupting Muslims. Are Boko Haram getting foreign backing?